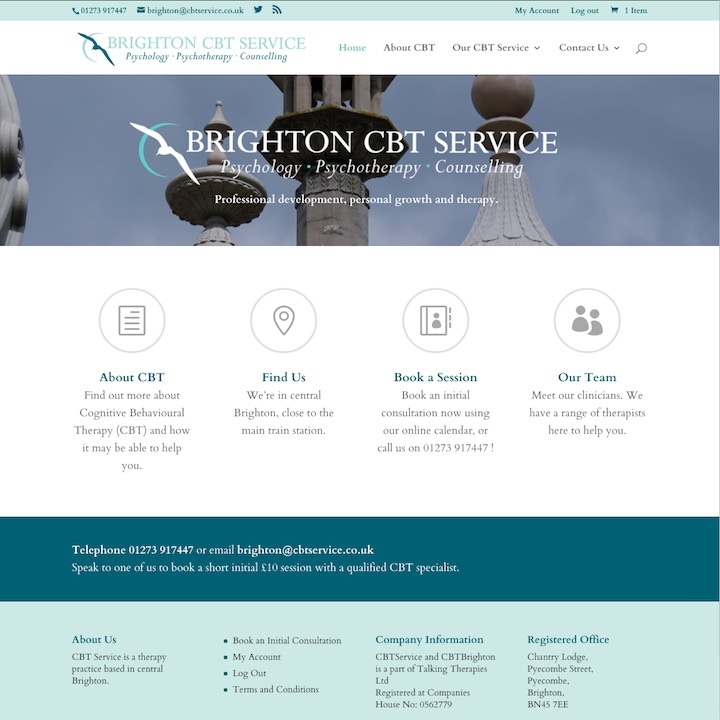 CBT Service is a cognitive behavioural therapy practice based in central Brighton. CBT aims to help you crack the vicious cycle of negative thoughts and feelings by breaking down seemingly overwhelming problems into smaller parts, lessening their impact and improving the way you feel. Reviewing current problems rather than focusing on your past, cognitive behavioural therapy is shown to be an effective way of treating a number of different mental health conditions. This project involved the creation of a WordPress site with a responsive theme, customised to a designer’s design. An important part of the project was to enable the online booking of introductory therapy sessions. This required the installation and configuration of a booking system module, the setup of a central diary to manage bookings for the various therapists, and integration with WorldPay payment gateway to receive payments. An additional requirement was integration of invoicing with the Xero accounting system, allowing central management of invoicing and payment reconciliation.